Lauren Mitchell was the silver medalist for the 2009 World Championship for the beam and floor and 2010 world championships on floor. World Championships is definitely a prestigious place to compete with many other gymnasts around the world. Mitchell was considered as the second Australian women who took a medal from the competition. She is the first one who won a gold. Lauren Mitchell became the senior gymnast in 2007. She was picked as the Australian balance beam champion. In 2007, she was included in the World Artistic Gymnastics Championships in 2007. The result was not good because the team was on the 11th position in the preliminary competition. To know another famous gymnast, check Jordyn Wieber facts. Lauren was in the respectable 5th rank when she was in the Balance Beam Final. Her skill and role at that time was compared with the highest ever finished in a balance beam world final of Australia, Monette Russo. She often felt nervous before the final event in the competition. To calm down her mind, she always pretended to herself that she was only training. Delhi 2010 Commonwealth Games is one of the important competitions for Lauren Mitchell. She had a gold medal from this competition. In the end of the game, she collected four gold medals. 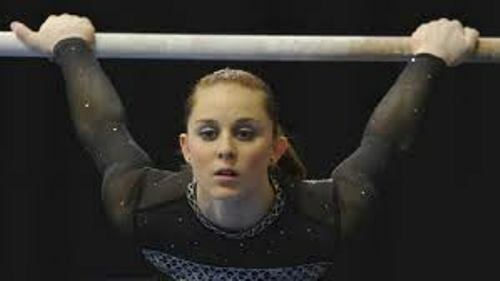 2010 World Gymnastics Championships was a great success of Lauren Mitchell. The event took place in Rotterdam. She won gold in the floor exercise. In the all around, she finished in the 6th position. Another event that she had was at AT&T American Cup in Jacksonville, Florida. The event was held on March 5th, 2011. In the all around competition, she was placed in the 6th position. In early July 2011, she followed the competition in Japan Cup in Tokyo. In a team competition, she finished in the fourth place. In the all around competition, she was in the fourth place too. Australian National Championships held in July 2011 made Lauren as the spot light. She was the winner in the floor, beam and vault exercise. In the all around competition, she finished in the sixth position for 2012 Pacific Rim Championships. Are you fascinated with facts about Lauren Mitchell?